Birds are one of the noisiest, most vocal groups of animals on the planet, and in addition to familiar songs and calls, many nonverbal bird sounds are just as important in avian vocabulary and communication. Birders who understand those nonverbal sounds can use each type of noise for better identification in the field or in their own backyard, and the better they listen, the better they will understand all of birds' noisy behavior. Nonverbal, nonvocal bird sounds are any sounds birds make other than typical songs and calls. While vocal communication is much more prominent for most birds, nonverbal sounds can also play a part in announcing or defending a territory, attracting a mate and foraging for food. Nonverbal sounds can include deliberate noises the birds make without using their syrinx or noises produced as a result of specific behavior, such as flight or foraging, and many birds make even more nonvocal sounds than they have different chirps, warbles or whistles in their vocabulary. There are several distinct nonverbal sounds commonly produced by birds. Some sounds are very specific to certain types of birds, while other sounds are less specific and may be made by many different birds or in different types of situations. Listening to nonverbal sounds can help birders identify the species they see in several ways. Learning to listen for sounds other than chirps or songs will help birders sharpen their ears to all the noise around them, and they will gradually develop better birding by ear abilities for all types of sounds. Understanding what sounds are audible will help pinpoint birds' locations – scratching noises, for example, indicate birds on the ground likely near bushes or ground cover, while drumming indicates birds on tree trunks or branches, probably dead limbs or trees that would produce more resonance and louder tones. Distinguishing between sounds will also help birders know which birds to look for – drumming is most likely a woodpecker while very fast, metallic wing trills are characteristic of some hummingbirds. Listen. Stay still in the field and observe birds, even common species, listening to all the noises they make and the noises caused by their different behaviors. After you approach it may take a few minutes for the noises to reappear, but when the birds are comfortable with your presence they will go about their activities. Ideally, practice at different times of day and in different seasons to learn a better variety of non-vocal sounds. Be patient. 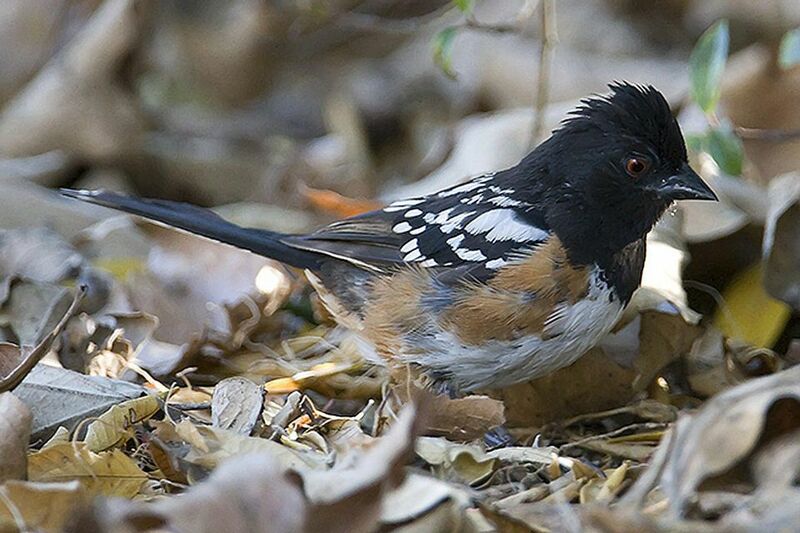 It can take a lot of practice to distinguish between the fast scratches of sparrows and the heavier scratches of towhees or quail foraging in leaf litter. Taking the time to hear ​the differences between nonvocal sounds will help you be a better birder. Some birders will record different sounds to compare and learn those fine distinctions. Start slow. Begin by observing and listening to the sounds of your backyard birds and other species you are very familiar with. By knowing those sounds well, you will be able to easily hear any new sounds that indicate more unique​ birds and will be more quickly notice anything unusual. Birding by ear can be a challenge even for experienced birders, but learning to distinguish the nonverbal sounds birds make it can be easier to use sound to locate and identify bird species. Is Using Bird Call Recordings Appropriate in the Field?